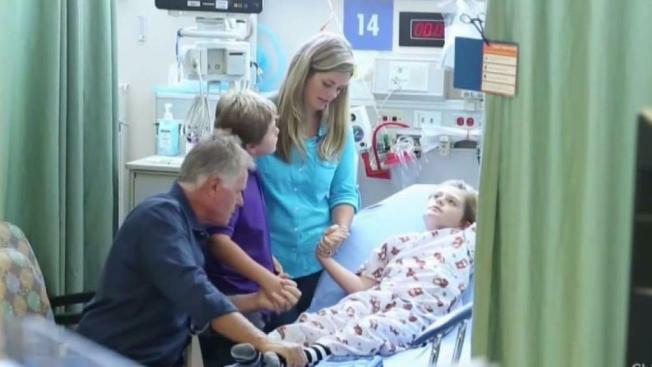 You know him as Darth Vader in a 2011 Super Bowl advertisement that went viral but you yet to meet the extraordinary kid behind the costume – 13-year-old Max Page, who is preparing to undergo an important heart surgery Monday. Page was about 6-years-old when he captured the heart of viewers in a Volkswagen ad when he played a child who attempted to use the Force as he dressed in a Darth Vader costume. Since then, he’s entered his teenage years having had a dozen procedures already. The teen was born with a congenital heart defect which has required regular visits to the hospital. Page’s pulmonary valve, which helps send blood from the heart to the lungs, was too small when he was born. He’s outgrown replacement valves he received when he was 7, and again when he was 10, but at 13, he can get an adult-sized replacement he could grow into. "The hope would be to not see him in the next decade," Doctor Richard Kim of the Children’s Hospital Los Angeles said. Kim said the new valve could last as long as 10 to 20 years. Page's family is preparing for his surgery and plan to watch the upcoming Super Bowl LII in a hotel near the hospital. "To watch your child have to live out a heart disease is nothing I'll ever get used to as a mom," Page’s mother Jennifer said. "He's in great care and loving hands but it's very hard and it never gets easier." Max's Christian faith helps him get by when he prepares for procedures. "I just know that on the other side I'm going to feel so good," he said. "I'm just trying to lean on that and my family and my faith." After his surgery, the teen will recover at the hospital for a week then recover at home once he is discharged. Max said he is looking forward to playing baseball again by April and is ambitious to resume auditioning as an actor by March.